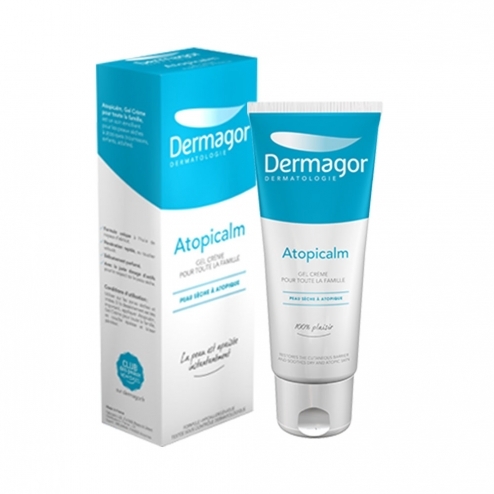 Emollient care for very dry to atopic skin of children and adults. Participates in the restoration of the skin barrier, improves the appearance of dry to atopic skin. If drying is very important, apply Atopicalm, Nourishing Cream Gel for the whole family, in thick layer and allow to penetrate. INCI Formula: Aqua, Paraffinum Liquidum, Polyacrylamide, C13-14 Isoparaffin, Laureth-7, Glycerin, Prunus Armeniaca, Butylene Glycol, Methylparaben, Ethylparaben, Propylparaben, Fragrance, Acid Lactic, Benzyl Benzoate, Citronellol, Limonene, Geraniol, Hexyl Cinnamal, linalool.